Laser skin resurfacing and breakthrough fractional laser technology can help restore a youthful glow, rejuvenate your skin, and drastically reduce the appearance of fine lines, wrinkles, hyperpigmentation, and more. In Scotch Plains, New Jersey, Dr. Darren Chin and his professional aesthetics team provide the latest aesthetic advancements and top quality equipment, including the innovative Fractora® and the AcuPulse® systems. Give yourself the gift of skin rejuvenation and visit the Ohana Medical Spa. Call or book online today. There are different methods of skin resurfacing and some systems — such as Fractora® — utilize multiple methods at the same time. What is a fractional laser and how does it work? Under the top layer of skin is a network of elastin and collagen — the proteins that keep your skin tight and youthful. With aging, sun exposure, and other factors, these break down faster than your body can rebuild them, and your skin gets wrinkles or sun spots. Fractional lasers work by targeting a specific area and splitting the laser beam into thousands of microscopic beams that create tiny wounds. These tiny wounds trigger your body’s natural response to heal and repair by accelerating collagen and elastin production. 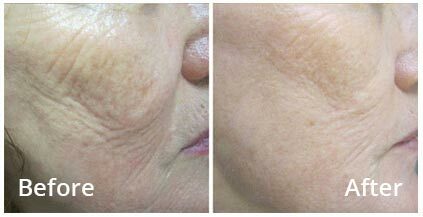 Fractional lasers are highly effective due to their maximum precision — they leave surrounding tissues intact, allowing your skin to heal at a much faster rate than if the entire area were treated at once. Skin cell regeneration begins after just a few hours. Microneedling involves invoking a microtrauma — a controlled skin injury — through tiny needles that vibrate and poke miniature holes in your skin, activating your body’s natural collagen production. Microneedling works well on the face, neck, abdomen, back, hands, arms, and other areas. It's relatively painless, and you may be given a numbing cream to limit discomfort. Dr. Chin uses the best available technologies for skin resurfacing: Acupulse® and Fractora®. 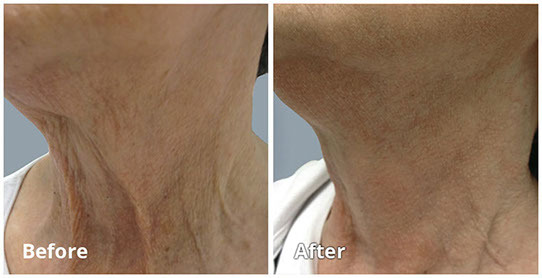 AcuPulse is an ablative laser resurfacing system that delivers deep dermal regeneration, improves elasticity, and plumps your skin. It’s the latest generation of CO2 fractional laser technology. Results are typically visible and significant with just one treatment. Improvements can continue for up to two years. Fractora is a revolutionary radio-frequency treatment that tightens and restores firmer skin in areas such as the forehead and cheeks. Fractora combines microneedling with radiofrequency energy that's delivered via tiny pins that poke miniature holes in your skin. Improvements continue for up to three months after your treatment and multiple treatments might be needed. Discover fractional laser technology and skin resurfacing. Visit Dr. Chin by calling or schedule online today.